Dialogue accentuation rules in Spanish with examples. A group of students from a school in Madrid visit the Prado Museum for the first time. The students are young and good students. The teacher is the group’s guide and explains the different paintings of the museum. In addition, she is an artist and loves to talk about art. -This painting is very big. It’s like a photograph! -Yes, it’s fantastic. The people seem real. -It is true. That girl is watching me! The teacher and the students continue with the visit and arrive at another part of the museum. – Impressive professor! This painting with the garden and the giant tree is incredible. -The image is very good, very clear. -And the sky looks real, I can almost touch it. -It seems like an important family. -Yes, very real, a lot of light. -It’s very different from the other, darker. -Goya is the master of lights and shadows. This painting is called Fusilamientos del dos de mayo translated as “The Third of May 1808”. -How can an artist change the style from one painting to another? -Professor, thank you for teaching art in such a fun and interesting way. It is the first time that I feel interested in a museum. -It is true. It’s thanks to you. The teacher, who is very sensitive, is moved by the words of the students. It’s the first time you hear such kind words from certain students. -Thank you very much to you all of you! We are going to continue the visit, please. Excited, the teacher continues explaining other pictures. – Here is Rubens. Does anyone know who Rubens is? -Well, Claudia. Explain who Rubens is. -Rubens is my best friend. He is fifteen years old and lives in the Lavapiés neighborhood. -Hahaha! Ruben is your friend, and no… Rubens..The painter! -Aaah. Then I think he is not my friend. -I like Rubens. It’s very elegant. -It is true. His paintings are perfect for a palace. – What’s the name of the painting? The students continue the visit. The teacher is happy. No one is going to forget this day. Las palabras agudas tienen una pronunciación más intensa y más fuerte en la última sílaba, la primera desde el final. La sílaba tónica en última lugar: caraCOL. 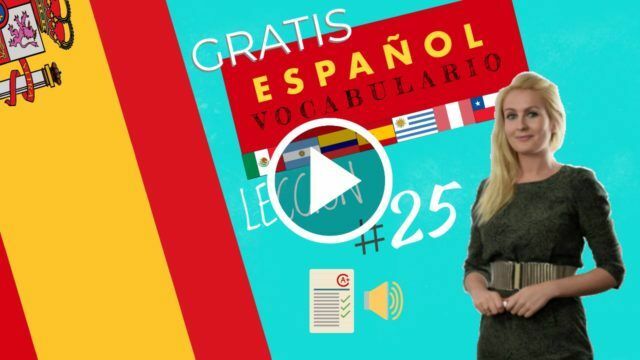 The accentuation rules in Spanish explained. To read and speak correctly in Spanish it is very important to know some rules: the accentuation rules. To accentuate or stress a word in Spanish correctly it is necessary to know what a syllable is. box> cua-dro, you have> te-néis (two syllables). When two weak vowels meet, they form a diphthong: city> city (two syllables). But when two strong vowels meet they form a hiatus, two different syllables: museum> mu-se-o (three syllables), cacao> ca-ca-o (three syllables). After separating the words into syllables, we classify the words into three different types to pronounce and read correctly in Spanish: acute, flat and esdrújulas. Oxytones have a stronger pronunciation on the last syllable, the first from the end. Paroxytones (LLANAS in Spanish) are stressed in the penultimate position (the next-to-last syllable), the second from the end of the word. * This word is “LLANA” because the accent breaks the diphthong of strong vowel + weak vowel. Other similar words: photograph> fo-to-gra-fí-a, day> day, via> v-a, joy> a-le-grí-a. The words esdrújulas have the strong syllable in the antepenultimate position, the third syllable from the end of the word. 1- Where is the group of students? The group of students of the school of Madrid visits the Prado Museum for the first time. 2- Who is the guide of the museum visit? The teacher is the group’s guide and explains the different paintings of the museum. Velázquez is a very famous Spanish painter. 4- Who is Velázquez, according to the professor? Velázquez is a master of Spanish painting and very important in the history of art in this country. 5- What is the name of the other Spanish painter? The other Spanish painter is called Goya and is another very important Spanish painter. 6- What is the name of the Goya painting in which it seems to be an important family? Goya’s painting is called The Family of Carlos IV . 7- Goya is master of what, according to the teacher? According to the professor, Goya is the master of lights and shadows. 8- Why did the student thank the teacher? He has thanked the teacher for teaching art in such a fun and interesting way. Rubens is a very famous Dutch painter, from the time of Velázquez. 10- What is the name of Rubens’s painting?